I have been very inspired by Killian Jornet recently. 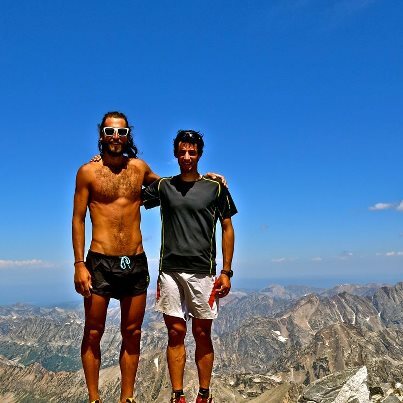 If you have not heard of him before, let me introduce him to you now; he is a 26 year old Spanish ultrarunning superstar. Though he upholds the status of one of the top ultrarunners in the world, he remains humble and lives a simple He released the second film in his ‘Summits of My Life’ project last week and it did not disappoint. I devoured the whole film and I was even lucky enough to catch Killian’s livestream before the film was released. If you want to download either of his films (highly recommended) visit his website here Summits of My Life. I am not only inspired by Killian’s determination and athletic ability, but also in the way he lives his life. He lives simply, his whole life is paired down the necessities that he needs and nothing more or less. He is living the richest life through experiencing the natural beauty of the Earth, not tied down or encumbered by trivial matters. It is clear by the expression on his face and way he talks passionately about his career that he is having a blast and doing what he loves the most. He exudes joy and happiness especially during his play time in the mountains. Killian is a true lover of the mountains and a lover of life. Killian inspires me to have more fun during my runs and my every day life, to pair down my belongings to only what is necessary and to live more. 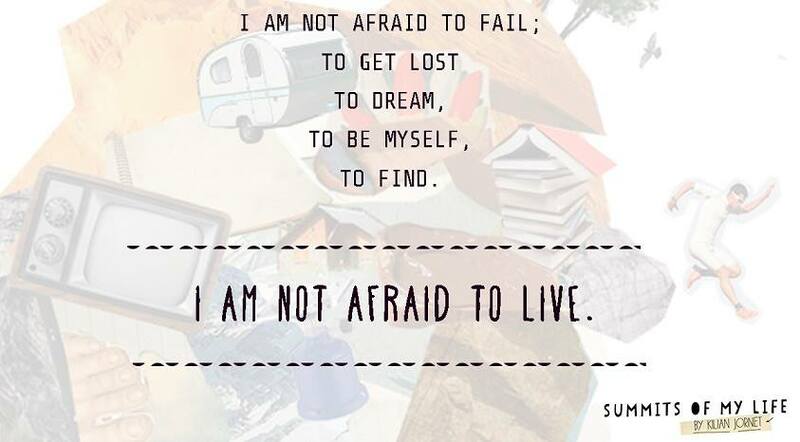 Live more humbly, experiencing life to the fullest. Expecting nothing and experiencing everything. I felt Killian’s inspiration today when I ventured out, expecting nothing of myself but to relax, have fun with my run and see how far I felt like going. I had a beautiful run, I hit my favourite trail and began. I was meditating in motion, looking straight ahead and letting the world pass by me one step at a time. I took a couple of perfectly ripe bananas and four medjool dates for if I got peckish. It turns out the carbs were a good idea, since my legs decided a half marathon was a good distance! I went slow but steady and had a lovely time. Which athletes do you guys follow / admire and why? Guess what else guys?! It is also World Day for Physical Activity! Don’t worry there is still time if you’ve not yet gotten sweaty today. Try one of Cassey Ho’s workouts. This one only lasts 5 minutes and is sure to have your heart racing and your quads burning! Let me know how you got your sweat on today or if you’ve done Cassey’s challenge! If you need a little extra motivation, I promise I will do the squat challenge for each of you that does it, just reply to this post if you do it!